Extensive selection of colors, textures, and patterns, including faux stone and tile overlays. 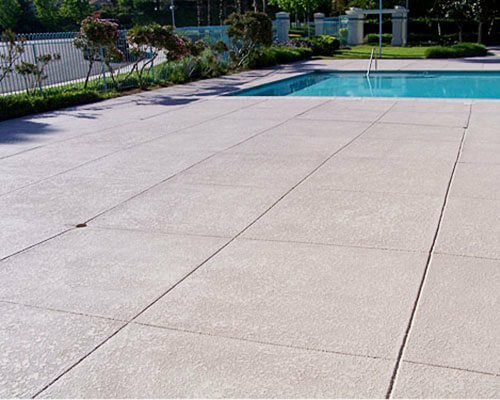 Durable protection for decks, balconies, stairways, patios, courtyards, pool decks, driveways, walkways, and more. Top brand name deck coating systems. Micro-topping of existing deck coating systems. Exceptional workmanship & competitive pricing. Deck coatings provide the ideal method of protecting wood and concrete decks. Today's deck coatings are extremely durable, and not only do they provide a waterproof layer that seals these porous surfaces against damage from water, soiling, and staining, they are available in an extensive array of colors, designs, and textures, and can turn your home or commercial facility's deck into a striking architectural accent. There really is no limit to the range of looks that can be achieved using deck coatings. Your deck can be finished to have the look of flagstone, slate, cobblestone, marble, granite, or other stone types. It can be overlayed with a brick or tile pattern set on the diagonal or in a herringbone design. In addition, we can even "micro-top" the surface of your existing deck coating to change its color, giving your deck a whole new look. Depend upon the deck coating specialists at Tuff Kote Systems. We offer all of our competitively priced deck coating systems with excellent warranties. 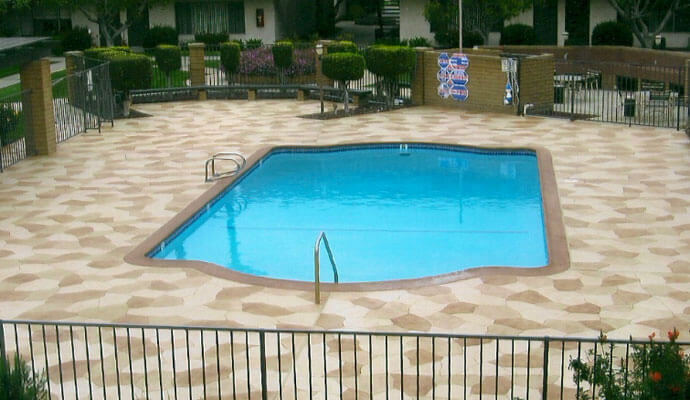 Our exceptional quality deck coating systems are slip resistant and ADA compliant, and will last for years to come. Contact us today, to schedule a consultation and estimate. We service all of Orange County and the greater Los Angeles area, and accept Visa, Mastercard, American Express, and checks. Tuff Kote Systems is licensed, bonded, and insured. Tuff Kote replaced my balcony decking and repaired the side wall stucco. Working with Tuff Kote was so easy and efficient. Estimate arrived promptly and was within the boundaries . . .